Our Comfort Rooms measure 16 square meters and are facing the courtyard. They are bright and friendly. You sleep in a 1,00 m x 2,00 meter single bed, have a desk, safe and a flat screen Satellite TV at your disposal. The fully equipped bathrooms have Showers, WC and Hairdryer. 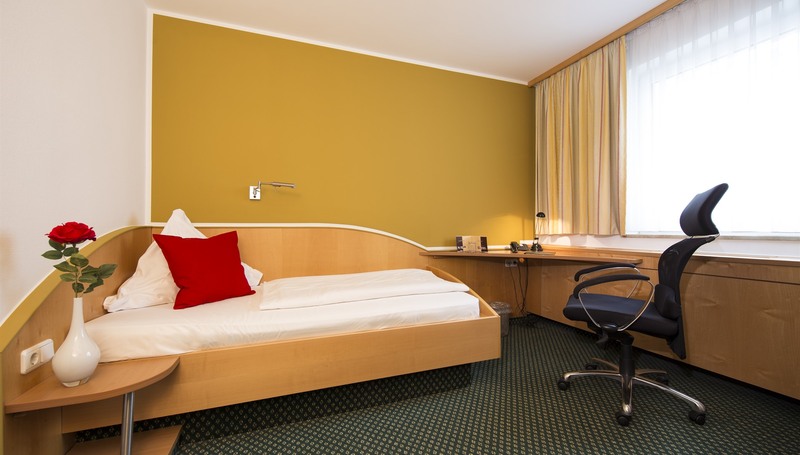 These bright 21 square meter twin bedded Comfort rooms are on the front side of the Hotel facing the street and have soundproof windows. They are equipped with 2 large single beds (1,00 m x 2,00 meter) and coffee and tea making facilities on your desk, a safe and a flat screen Satellite TV. A suitcase/luggage deposit rack makes your stay more comfortable. 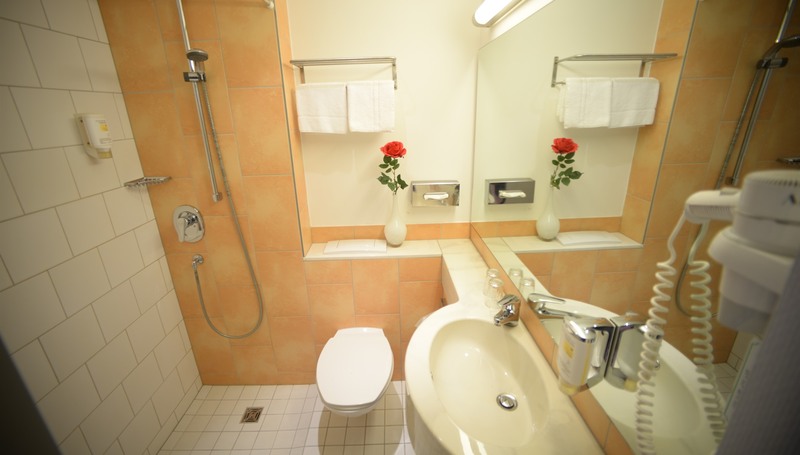 The fully equipped bathrooms have Showers, WC and Hairdryer.